The secret to losing weight and getting in shape may be in eating meat cutting back on carbs such as done in the all protein diet where you choose to lose. High protein diets such as the all protein diet where to try to make dieting work eating meat make up for the balance protein carbohydrate and fat balance in your meals by providing you with assurance that you are going to succeed. Is eating meat bad for you when trying to lose weight? People keep on asking is it is possible to diet only eating the meats you love and always never will give up. The All Protein Diet is where you reduce intake of carbs such as that found in rice, bread, and vegetables while chowing down on meats and fish satisfying your appetite. By meat eating, eliminating sugars and carbohydrates that turn into fat, you can reduce body fat as well as strengthen your metabolism promoting smoother weight loss. 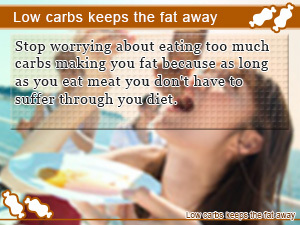 Unlike other meat diets it doesn't take away your plate allowing you to decide on your own carb consumption. In this daily take on Slism, we will introduce the all protein diet for weight loss including easy to follow steps to get started today while breaking into some of the great benefits you get out of it ending with areas to watch out for. The all protein diet is a meat diet plan that doesn't make you give up on eating meat and in fact is a diet where eating meat is a good thing. Although you may be concerned whether or not it is possible to lose weight while you eat meat, if eating meat means you lower sugar and carb consumption then you can diet eating meat. 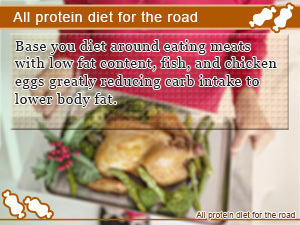 On the all protein diet you greatly reduce the amount of carbs in your diet. When incorporating carbohydrates in your diet keeping it to a minimum is direly important. This may include simply eating half the amount you would eat when not on the all protein diet. Eat As Much Meat As You Like As Long As It's Not Fatty! 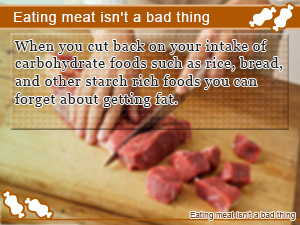 Eat non fatty meat and fish is okay even when you are on a diet. On the other hand when you don't have as much time to cook eating a hard-boiled egg takes the cake for convenience in your diet. When eating fatty meats remove as much fat as possible before eating. Although most diets say that you should get as much vegetables in your diet as you can, on the all protein diet you are going to want to reduce carbohydrate intake, staying away from starches like high-carb potatoes. In addition, don't forget what mother said, "Vegetables aren’t evil!" In that respect make sure to treat yourself to a healthy vegetable snack such as bowl of vitamin K rich cucumbers more often than not. What About Getting Through Snacking Between Meals!? As you would expect on the all protein diet, snacking in between meals is okay as long as you stick to meats, fish, and chicken eggs. Practically speaking, you are going to want to hold back on fruits and dairy products as well. Taking care in paying attention to the things you use to season your food such as sugar or Mirin sweet rice wine is important when on the all protein diet. Note that flour used in frying seafood contains carbs. Always confirm how much carbs you are adding before cooking. Stop excess carbs from being the source for unwanted fat being stored away in your body making weight loss no short of a dream like a wet blanket of snow falling on the coast of Hawaii. Wake up and start eating on an all protein diet. Excess carbs in your diet have a way into making it to your fat stores that can be avoided by simply reducing carbohydrate consumption going on high-protein meat diet. Although carbohydrates is a great source of energy for your body, unused carbs get locked away in your body as fat that over time builds up triggering reoccurring health problems. Reducing carb intake on an all protein diet replacing your daily meals with meats, fish, or eggs eliminates the fear you have of carbohydrates making it easy to burn and lose fat. The all protein diet is particularly effect when you are looking for a way to reduce body fat with or without exercise. More importantly, the all protein diet takes away the worries and doubts you may have about eating meat leading to guilt free eating that helps you sit easy eating health in your diet. The all protein diet is a diet where you try not to eat any carbs. However that doesn't mean that carbohydrates are a bad thing. In fact there are many benefits to sugars that may help your diet. In addition to helping calm your body nerves while giving your brain a nice jolt of energy sugars are not the worst thing you can put in your body. On the other hand, if you can't get your hand out of the cookie jar the all protein diet may not be right for you. Due to the fact that you are increasing the amount of meat you eat, things are going to start getting expensive. This can be avoided by mixing it up with boiled eggs for making the all protein diet work on a budget. Base you diet around eating meats with low fat content, fish, and chicken eggs greatly reducing carb intake to lower body fat. When you cut back on your intake of carbohydrate foods such as rice, bread, and other starch rich foods you can forget about getting fat. Stop worrying about eating too much carbs making you fat because as long as you eat meat you don't have to suffer through you diet.